Dawn N. Hicks Tafari, Ph.D.
A native New Yorker, Dr. Tafari is passionate about the arts, culture, education, and translating theory into practice. She earned her Bachelor’s degree in Psychology with a minor in Anthropology from Hofstra University; her Master of Arts in Teaching with Certification in Elementary Education from The Johns Hopkins University; and a Post-Baccalaureate Certificate in Women’s and Gender Studies and her Ph.D in Educational Studies with a Specialization in Cultural Studies from The University of North Carolina Greensboro. She has served as an elementary school teacher in Brooklyn, New York and in Baltimore, Maryland; and as a curriculum facilitator in High Point, North Carolina. Dr. Tafari currently serves as an educational consultant for Guilford County Schools and as the Interim Coordinator for the Birth through Kindergarten Education program in the Department of Education at Winston-Salem State University. Dawn is also co-founder of the Greensboro Kwanzaa Collective, a grassroots organization that organizes Greensboro’s citywide 7-day Kwanzaa celebration. 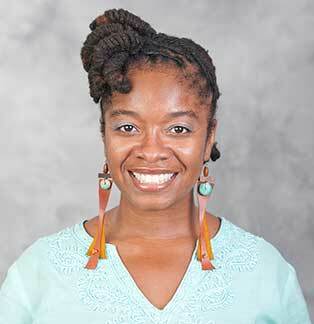 Dr. Tafari is a scholar activist and Hip-Hop Feminist whose research focus includes studies Black male students and teachers, Hip-Hop culture’s influence on identity development, culturally relevant teaching, and critical race theory. Jackson, Karen K.; Jackson, Hope; Tafari, Dawn N. H. (in progress). "“I Can’t Hug The Kids”: Black Male Elementary School Teachers who Bring Eros into the Classroom - A Composite Counterstory"
Tafari, Dawn N.H.; Newton, Veronica A. (accepted). Chapter in International Handbook of Critical Pedagogies. Sage Publications, Inc. Edited by Shirley R, Steinberg, Barry Down, Sandy Grande, and Dara Nix-Stevenson. Tafari, Dawn N.H.; Ricks, Shawn A.; & Oates, Fran B. (2016). The International Journal of Critical Pedagogy. "The Kinara Speaks: Kwanzaa as an Expression of Activism and Resistance in the City of Greensboro"
Tafari, Dawn N.H. & Poole, Tonya. (2016). Chapter in The Critical Black Studies Reader. Peter Lang Publishing, Inc. Edited by Rochelle Brock, Ph.D. and Dara Nix-Stevenson, Ph.D.
Tafari, Dawn N.H. (2015). Chapter in D.I.V.A. Diaries: The Road to the PhD and Stories of Black Women Who Have Endured. Peter Lang Publishing, Inc. Edited by Cherrel Miller Dyce, Ph.D. and Toni Milton Williams, Ph.D.
Tafari, Dawn N.H. (2013). Chapter in Black Male Teachers: Diversifying the United States' Teacher Workforce, Emerald Publishing, LLC. Edited by Chance W. Lewis, Ph.D. and Ivory A. Toldson, Ph.D.